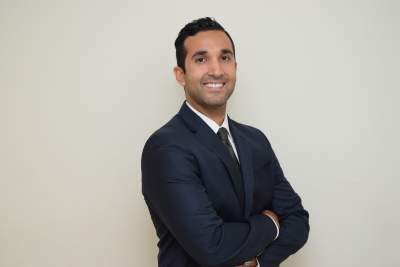 Kevin Moghtanei recently received advanced level training, from the American Association of Premier DUI Attorneys, on how to use fatigue and drowsiness to fight DUI cases. Kevin received training on the how drivers arrested and prosecuted for being under the influence of alcohol and/or CNS Depressants can easily be misdiagnosed and wrongfully arrested for DUI when they were simply fatigued or drowsy at the time of the incident. The information in this training was provided by Adam Pollack. Mr. Pollack is an AAPDA Executive Member of the Association. Mr. Pollack’s office is located in Orlando, FL and his website is http://orl-law.com/. Kevin Moghtanei is the principal attorney at DCD Law. Kevin founded DCD Law as a law practice exclusively focused on providing top-notch DUI & criminal defense to the greater Los Angeles area. He is so proud to focus his practice exclusively to DUI and Criminal Defense that he named this law practice after it –DCD Law stands specifically for DUI & Criminal Defense Law. Over the years, Kevin has dedicated his life and focus to becoming the best DUI & criminal defense attorney possible. DUI and criminal defense is 100% the only type of legal work he does. DCD LAW is committed to serving clients and their loved ones. Kevin handles all of his own cases personally, and he is always easily accessible to his clients. From day one, Kevin gives his clients his cell phone number so that he can be most accessible even when out of the office. As most of his clients will affirm, Kevin will always call or email back without delay. As a seasoned attorney, Kevin understands the difficult time clients and their families may be experiencing while awaiting the final disposition of the criminal matter. There is never a case too small, and no case too big. Kevin earnestly believes in building strong relationships with clients, where trust and constant communication are the pillars of the professional relationship. After meeting with Kevin, you will see that his commitment to your case is unparalleled. No matter how many fingers are being pointed at you by the government and police, with all their infinite resources arrayed against you and trying to lock you up, Kevin will fight for you.